FIFA 18, which launched on Nintendo Switch and other platforms last week, took the first place on the UK sales charts. Despite how well the game has performed at retail, only 1% of overall FIFA 18 sales came from Nintendo Switch, while 97% were either on PS4 and Xbox One. This means to say if the game actually sold 200,000 copies at launch, only 2000 copies were the Switch version. Given that most sports gamers play the game on PS4 and Xbox One, it’s really no surprise that the Switch version of the game didn’t do well. 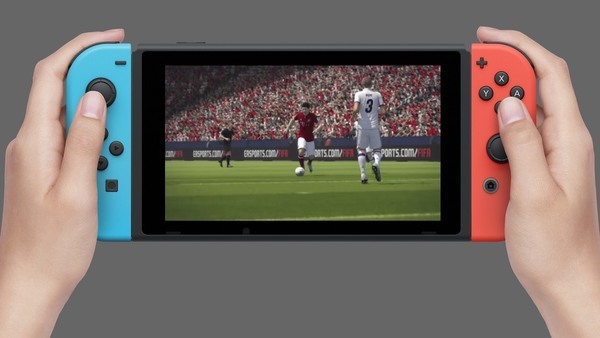 The fact that FIFA 18 on Switch lacks feature parity, doesn’t support online play with friends, and has all sorts of weird glitches have added fuel to the fire.